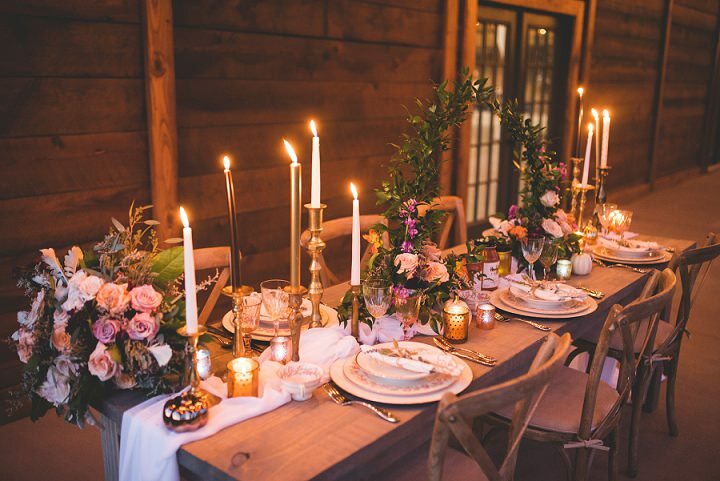 As you can see from the trees changing colour, autumn is upon us, the winter coats have resurfaced, the warm jumpers are on and it’s nearly time for Halloween. 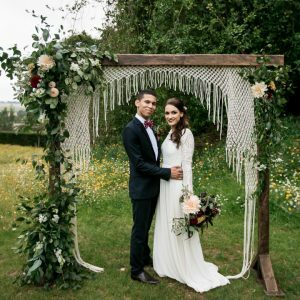 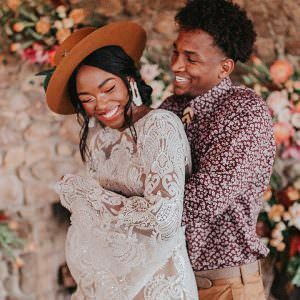 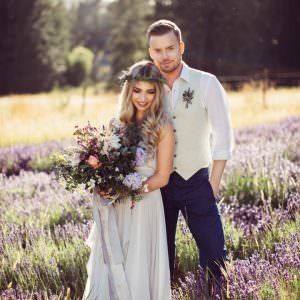 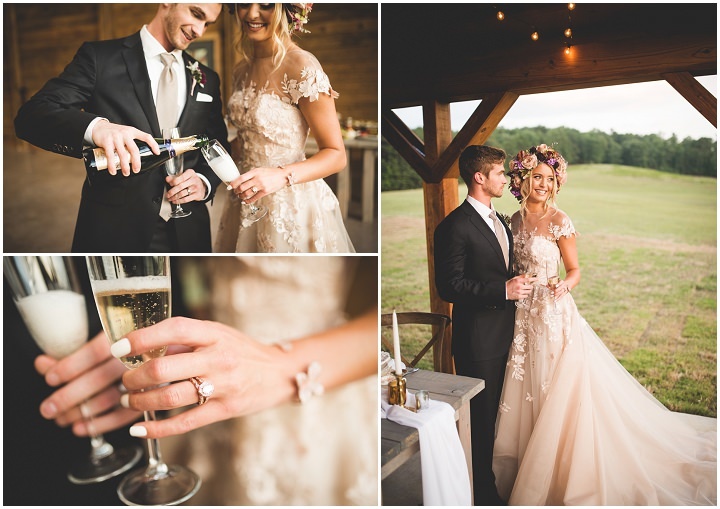 To celebrate this wonderful season, I have the most adorable harvest festival wedding inspiration for you. 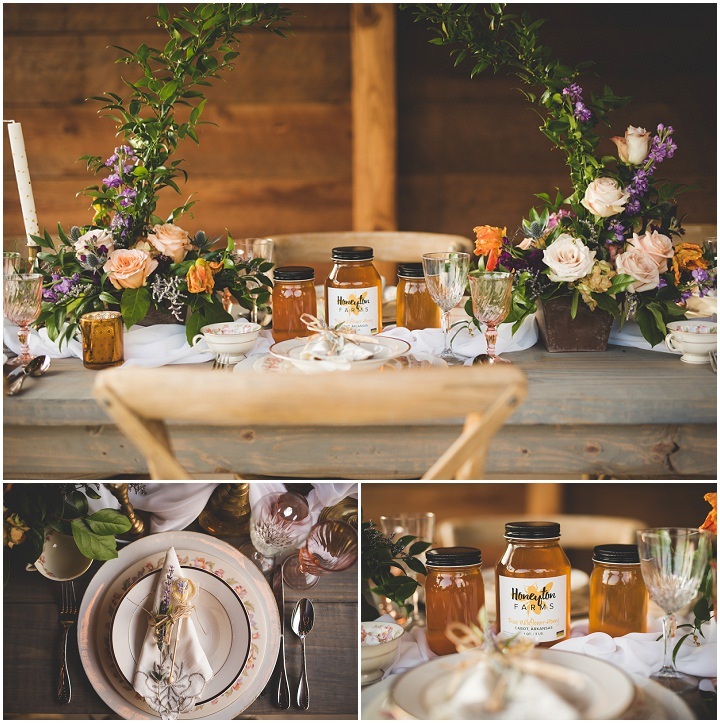 It’s harvest festival time here in Sheffield, I’m sure it is where you are, so I thought I would celebrate the fact with this food filled shoot. 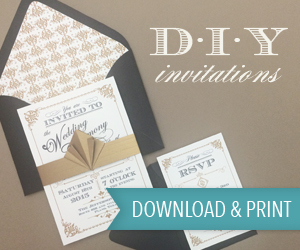 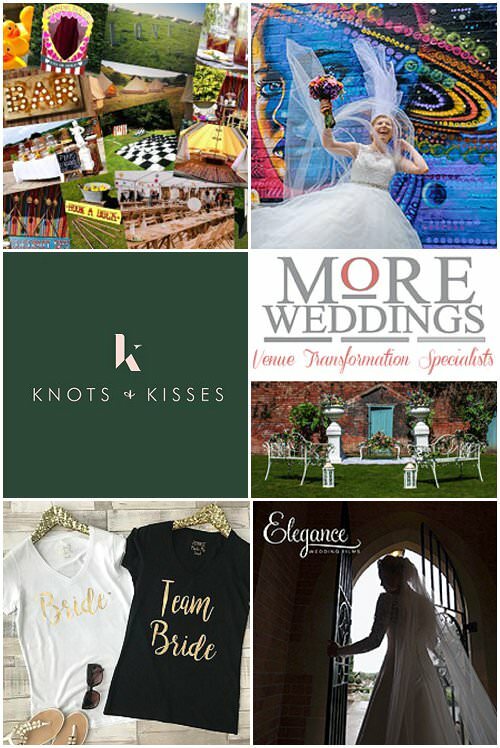 It’s been put together by Meredith Events and an amazing team of wedding suppliers. 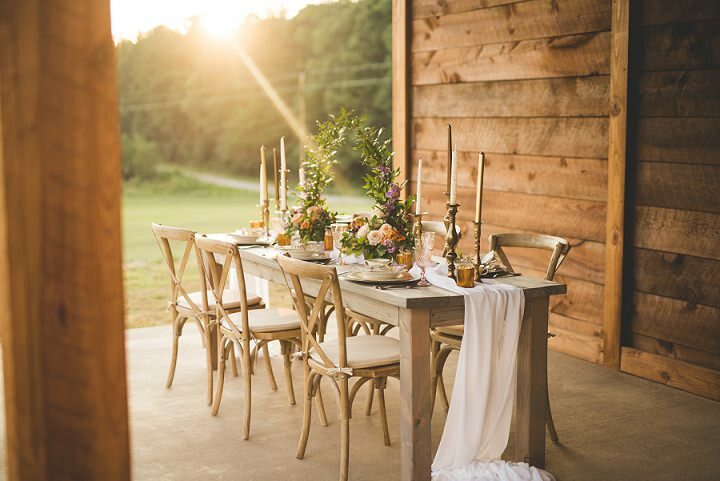 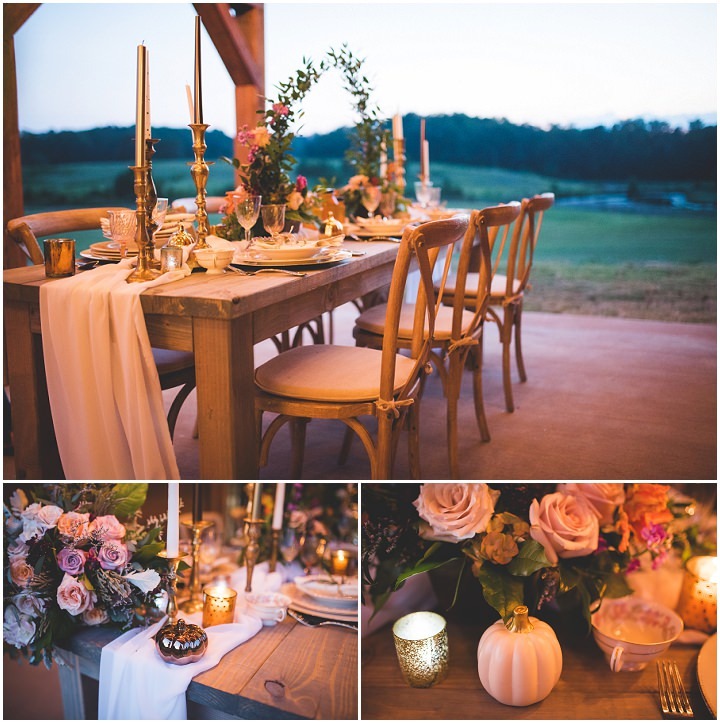 The use of warm autumn tones, oranges, yellows and browns in the table decor and the gorgeous use of light by Sydney Rasch is just stunning. 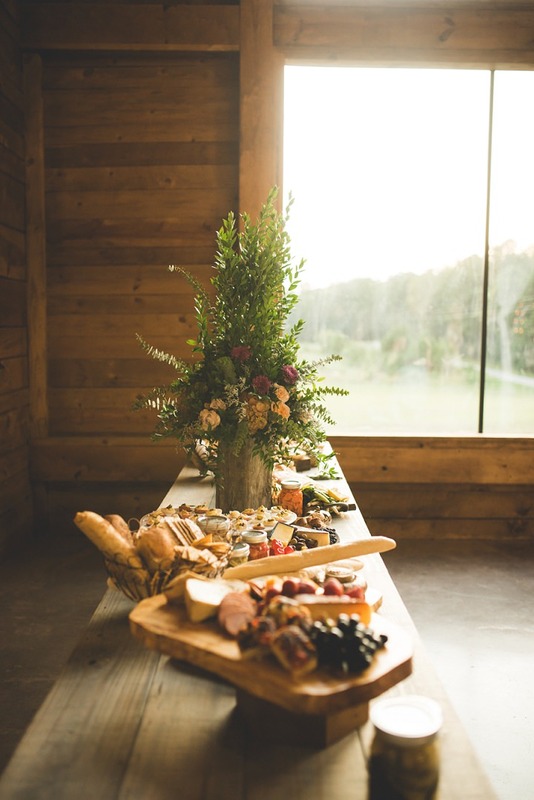 It’s a real celebration of the senses as well as welcoming in the winter months and those warm cosy evenings. 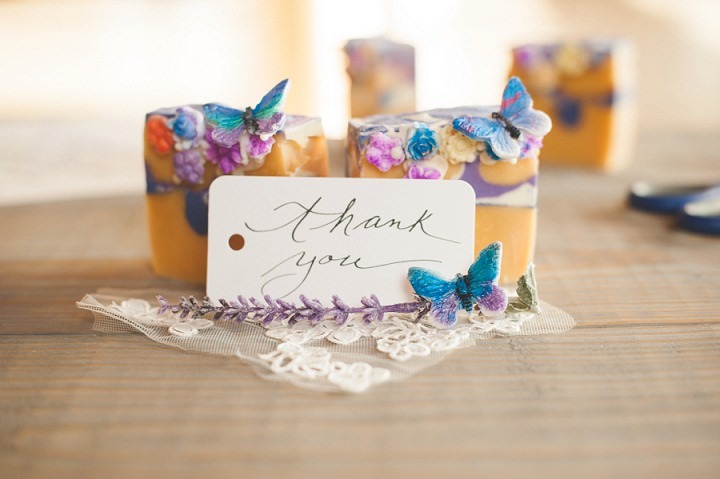 It is lavender and honey harvest time! 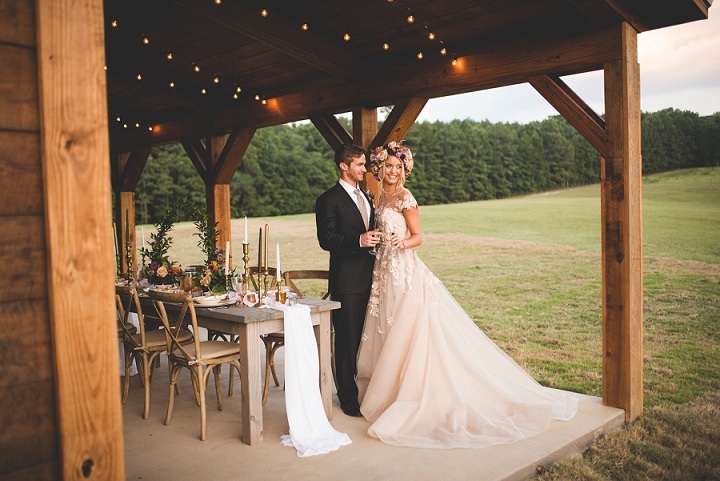 Our couple cares about the earth and appreciates grand cuisine. 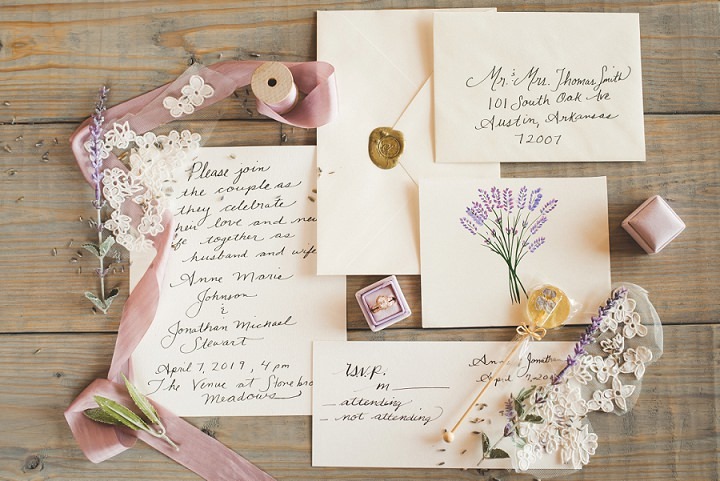 We decked this theme out with sweetly made hand-lettered calligraphy, lavender, local farm fresh honey and a moveable feast that will make your mouth water. 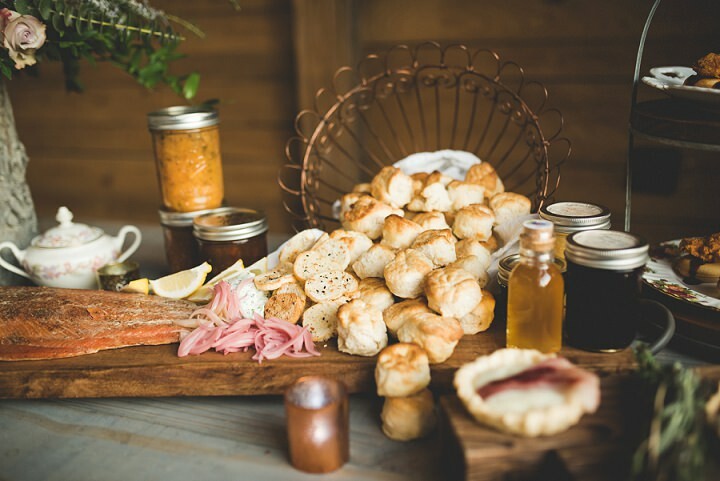 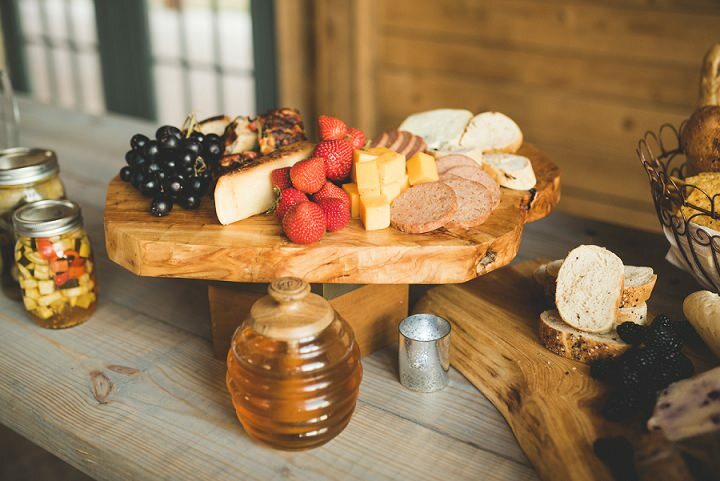 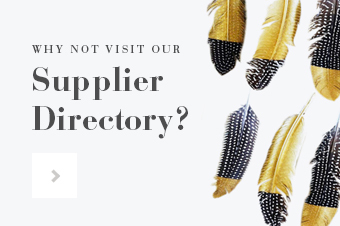 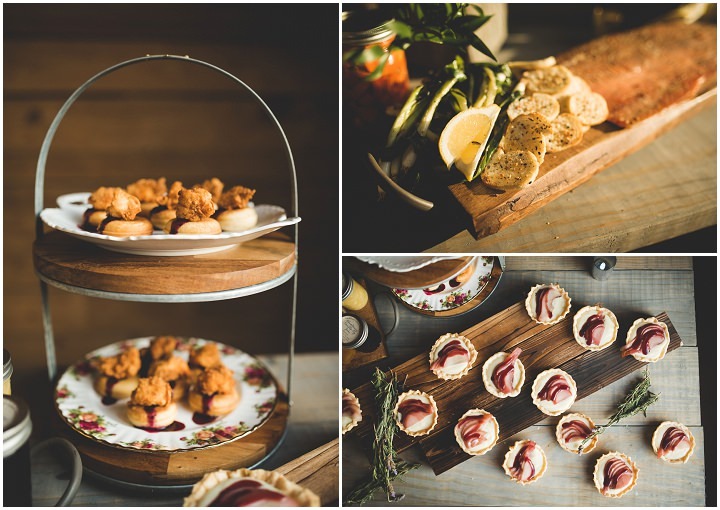 Fried chicken and donuts with berry butter, angel biscuits with honey and red wine poached pear tarts adorn a rustic wood table for a look that resembles both southern hospitality and French country. 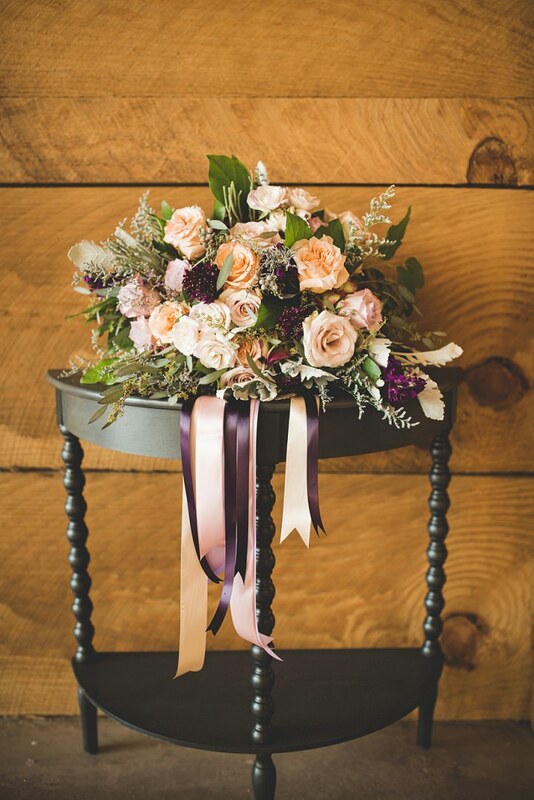 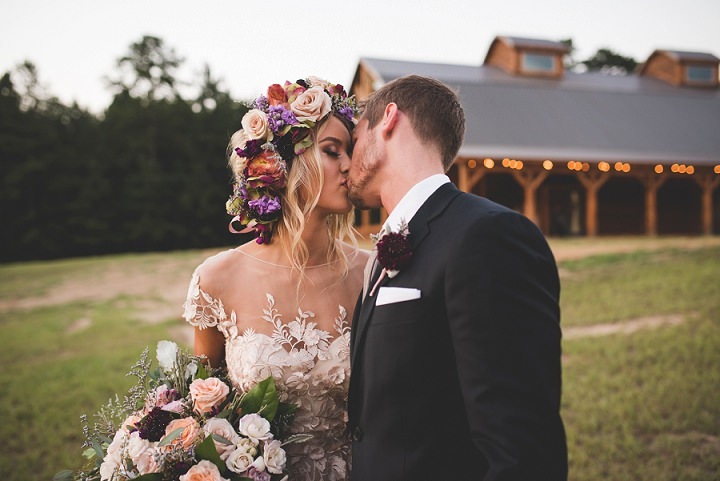 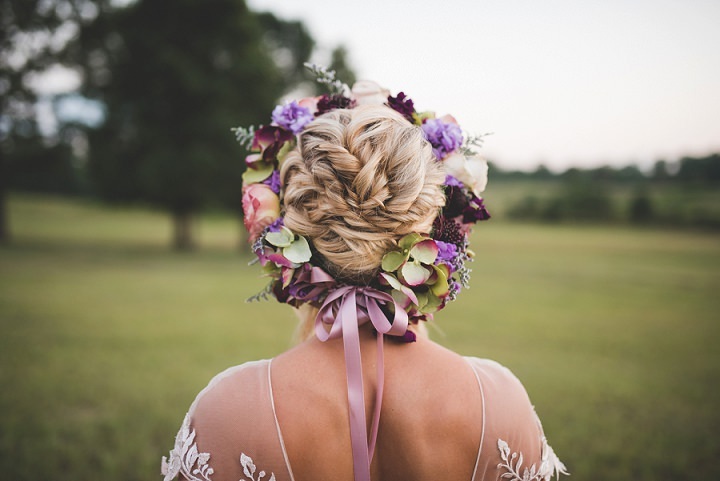 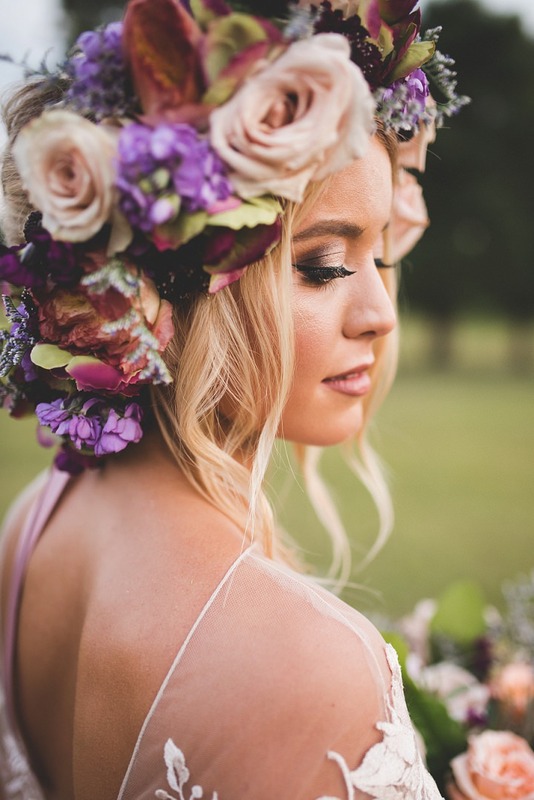 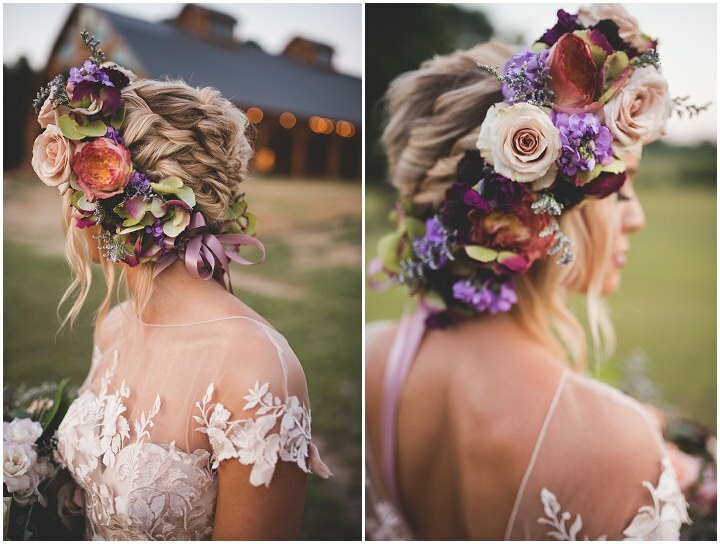 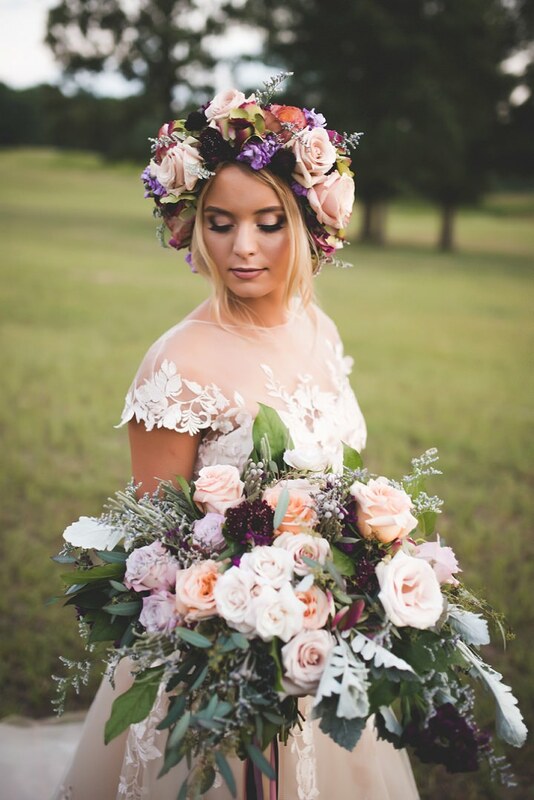 Our bride is wearing a truly festival-style floral head piece and carrying an autumn-toned bouquet filled with Pantone’s color of the year, ultra violet. 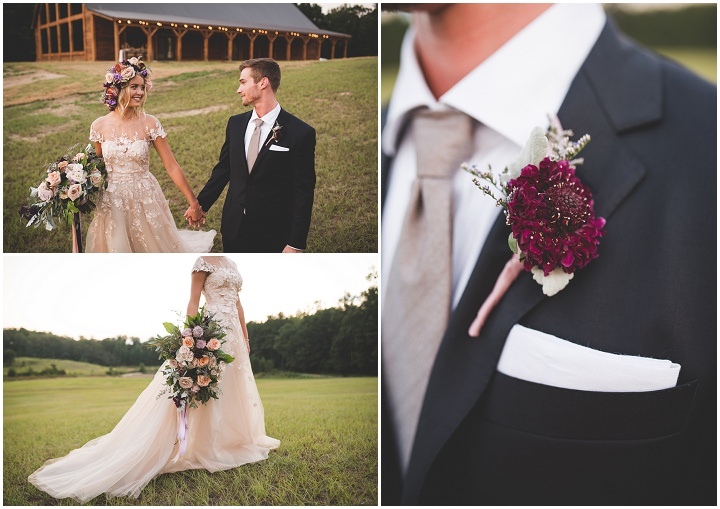 Our groom is wearing a couture suit by Paul Rainwater with Q Clothier and could not be any cuter. 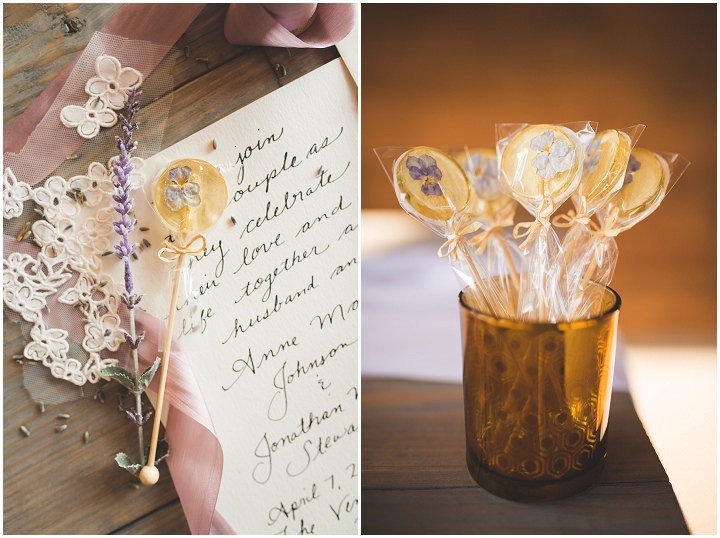 Guest favors came in the form of hand-crafted, essential oil-infused honey and lavender soaps as well as honey and lemon flavored lollipops. 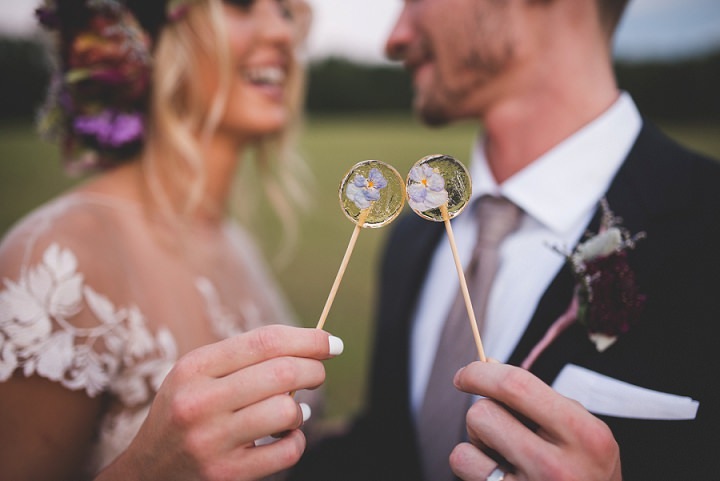 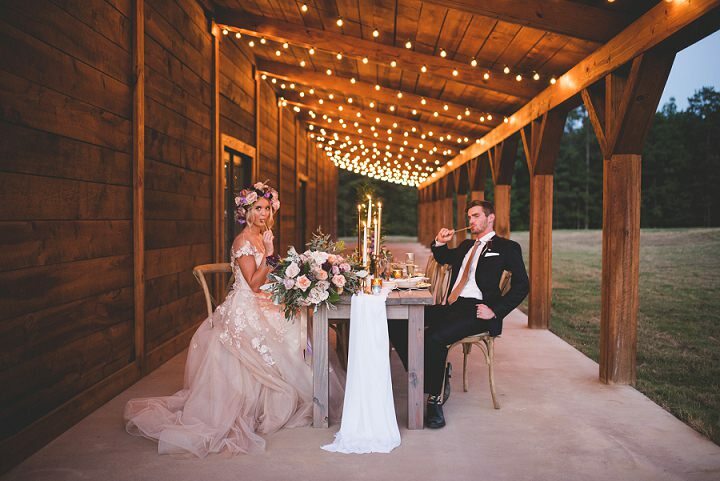 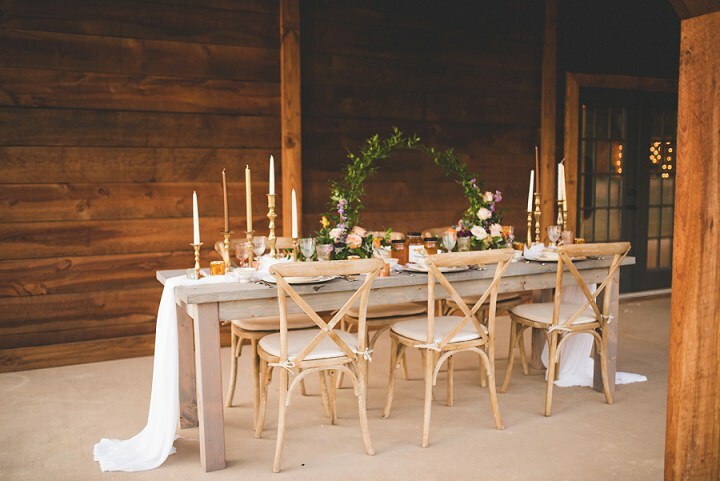 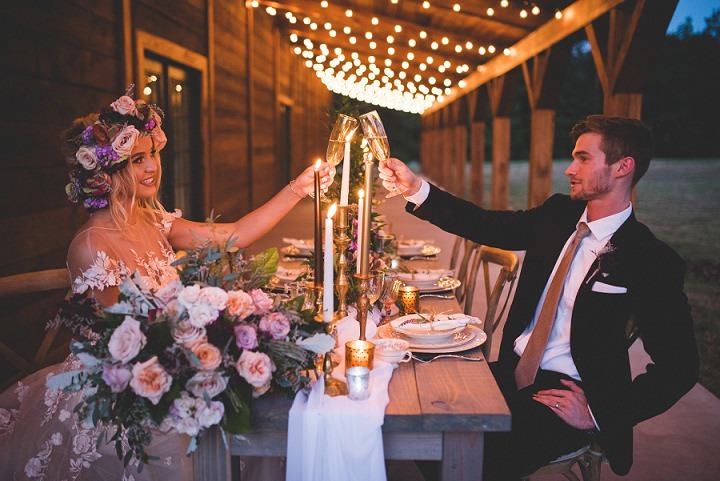 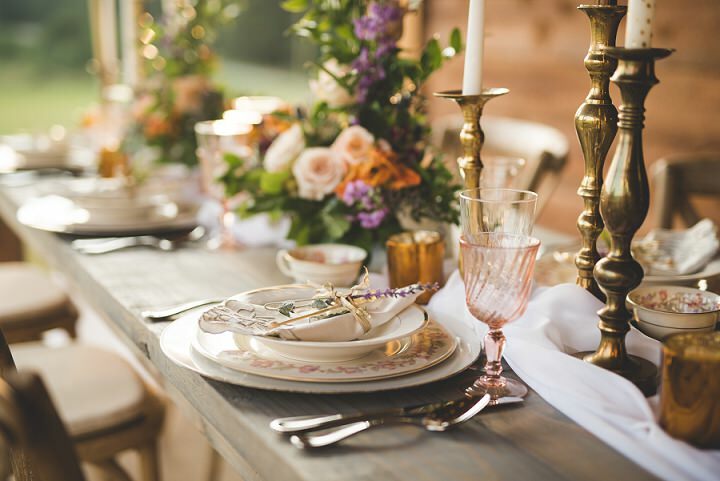 We have found the hip, modern bride thinks less about glitz and glamour, and more about providing a serene backdrop, nourishing fare, and lovely adornments for their guests to enjoy. 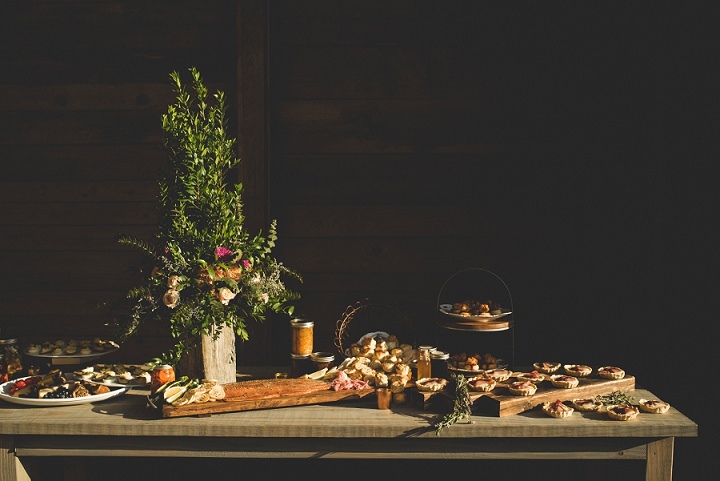 Keeping “experience” over flaunt in mind, we have created a harmonious feast for the eyes. 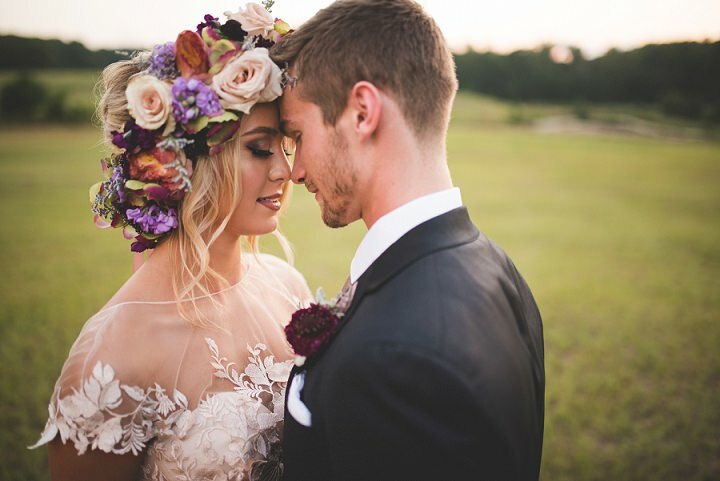 Beautiful couple. 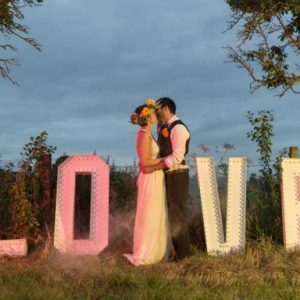 I’m sure the wedding was as well.